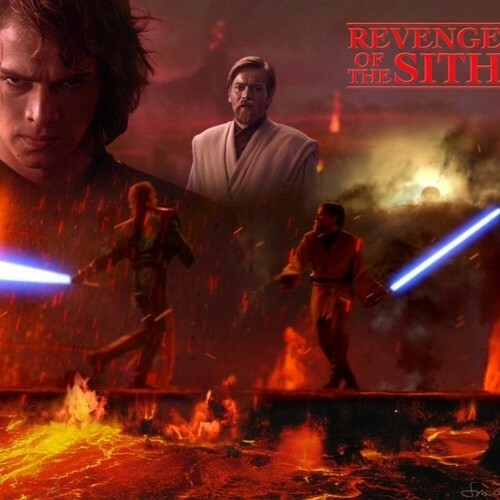 Obi-Wan VS Anakin Mustafar. . Wallpaper and background images in the bintang Wars: Revenge of the Sith club tagged: revenge of the sith star wars 2005 episode iii anakin obi-wan mustafar. This bintang Wars: Revenge of the Sith photo contains api, inferno, api, and konser. There might also be perapian, perapian terbuka, tungku, barbekyu, barbeque, grill, bajan, and wajan.